I have been taking collagen supplements regularly and I even make my own collagen soup when I am in Europe. My husband is a HUGE fan of my collagen soups and my collagen smoothies. Today, I would like to share with you some collagen recipes which you can make using any collagen drinks. 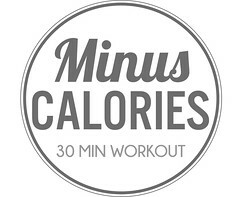 I am using Mu Mieux Collagen Drink for these recipes. 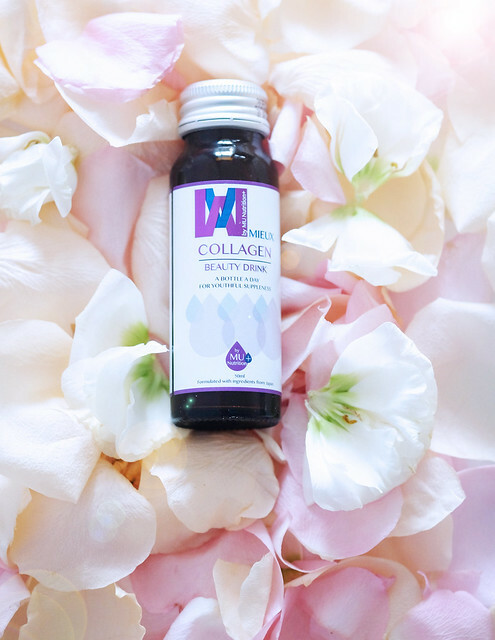 Collagen is vital for us especially as we start to age, besides the Mu Mieux Collagen Drink tastes very good and you can chill it in the fridge and drink it on its own or try my collagen mocktail recipes. 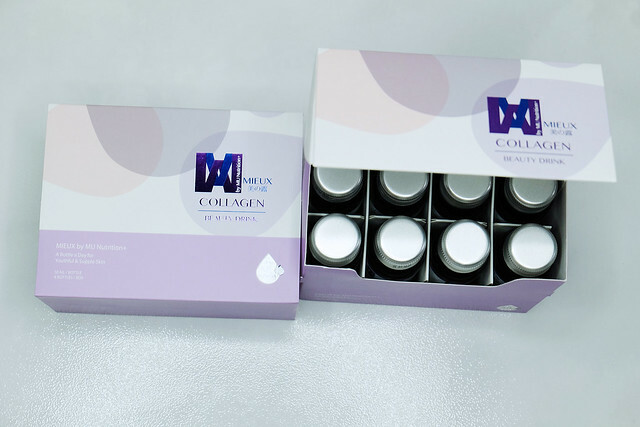 Each box of Mu Mieux collagen comes in a box of 8 bottles. Each bottle contains 50ml of collagen drink. 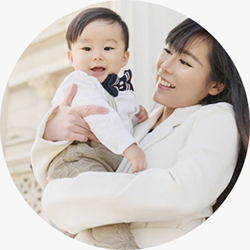 Each Bottle of Mu Mieux Collagen Drink contains fish collagen, apple extract, Co-Q10, Ceramide, Vitamin E, Vitamin C, Malic Acid and Maltitol. 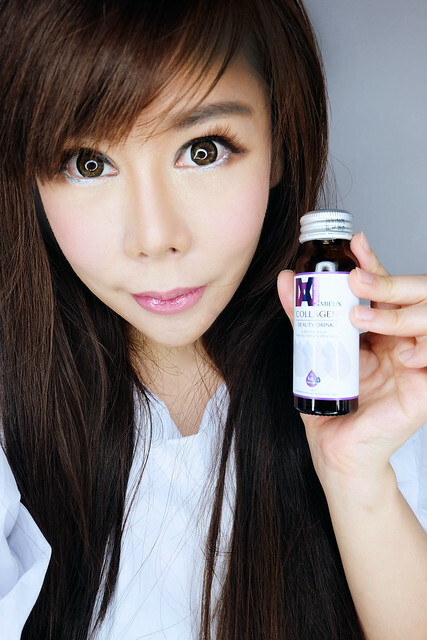 Mu Mieux Collagen Drink does not contain any artificial colors or flavours. For youthful suppleness by maintaining you skin's optimum collagen levels, consume one (1) bottle per day before bedtime. It is recommended to chill the drink before consuming. Shake well before drinking and consume the entire bottle upon opening. Tastes pretty good on its own. But I like to spice things up! Let's start making COLLAGEN MOCKTAILS!!!!!!!!!! Squeeze the juice of the lime and orange. 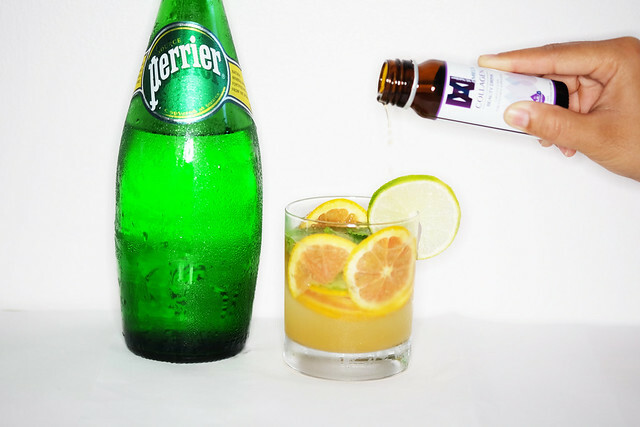 Pour in the orange and lime juice, followed by the perrier sparkling water. Top off with the bottle of Mu Mieux Collagen Drink. Then garnish with slices of the lime and orange and mint leaves. Serve immediately. Pomegranate is a great source of ellagic acid, and antioxidant and punicic acid, an omega 5 polyunsaturated fatty acid which is highly beneficial for cell regeneration and proliferation. The juice of the pomegranate contains vitamin A, C and E and minerals such as calcium, phosphorous, potassium, iron, folic acid, niacin, thiamin and folates. Juice 3/4 cup of the pomegranate in a cold pressed juicer. I used a Hurom Juicer for this. Pour in the pomegranate juice, followed by the perrier sparkling water. Top off with the bottle of Mu Mieux Collagen Drink. 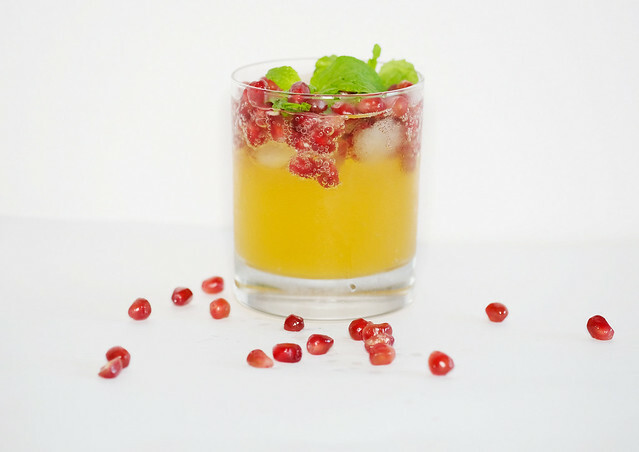 Then garnish with the remaining pomegranate and mint leaves. Add ice cubes if you desire it cold. Serve immediately. 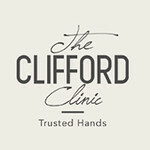 Do you know that people who eat more strawberries and blueberries had a lower risk of having a heart attack? Blueberries and strawberries contains anthocyanins, which are antioxidants that are beneficial for our heart and can even prevent cancer. 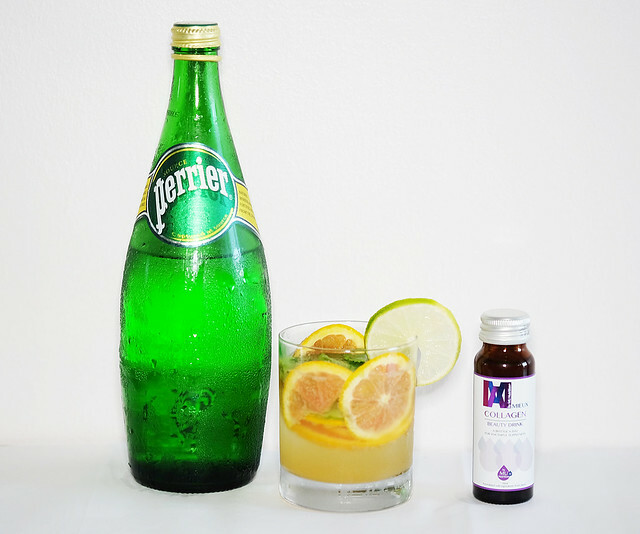 Pour in the perrier sparkling water. 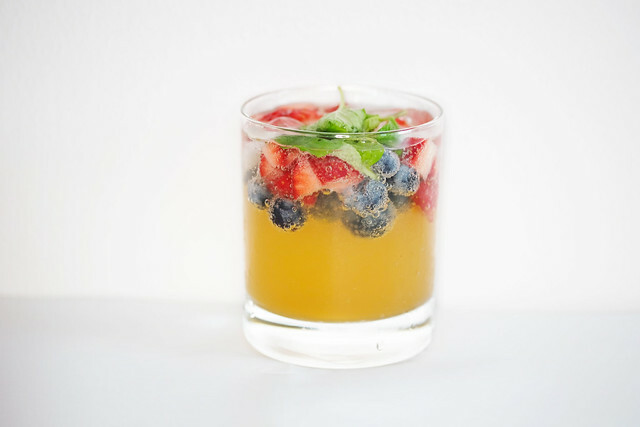 Add the blueberries and cubed strawberries into the cup. Top off with the bottle of Mu Mieux Collagen Drink. Then garnish with mint leaves. Add ice cubes if you desire it cold. Serve immediately. I hope you try these delicious collagen mocktails, you can even serve them to your guests at a party to impress them. And these collagen mocktails are the perfect drinks for you to unwind after work and the Mu Mieux collagen drink in these mocktails helps you to maintain you skin's optimum collagen levels. Mu Mieux Collagen Drink is available at Mary Chia / Urban Homme outlets island-wide.